Seems Alexa’s made her way into everything these days. Between Amazon’s own Echo offerings and an ever-growing array of third-party participation, the steady home automation takeover of the company’s AI assistant appears to be going about as well as could be expected. Between Alexa connected washing machines and a detergent ordering Dash-enabled dishwasher, GE’s already firmly aboard the Amazon train. 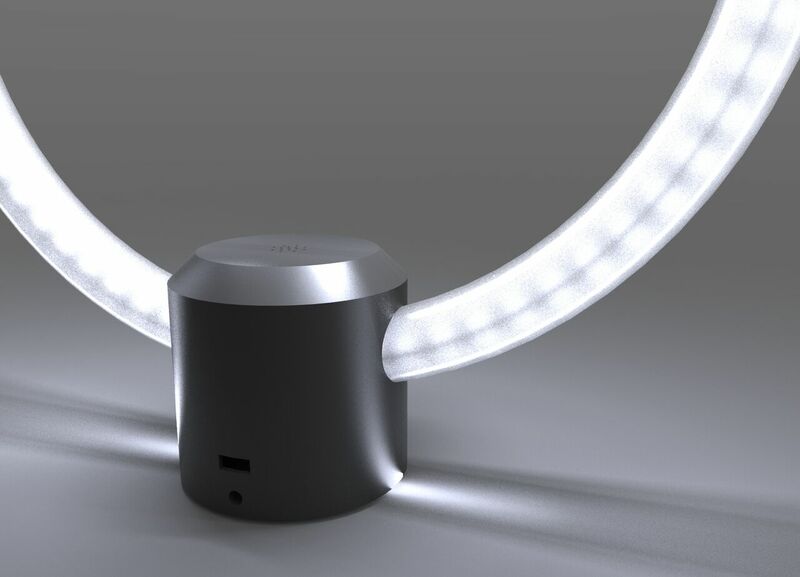 The company’s latest offering, announced this morning by way of a Facebook Live demo, is the “first announced use of AVS embedded within a lighting product,” according to GE. More to the point, the C by GE LED Lamp is essentially a table lamp that will tell you the weather. It’s kind of like an Amazon Echo That also has a LED ring that arches over the top of the base/speaker. It’s still a prototype right now, but it should give you a pretty good idea of what the final version will look like. The system was designed by Richard Clarkson, the dude who keeps making various tech products that look like actual clouds. No word on pricing yet, but pre-orders are set to open early next year, with shipping beginning in Q2. The lamp is the latest offering from C by GE, the technology giant’s smart lighting department that also produces light bulbs akin to Philips’ Hue.